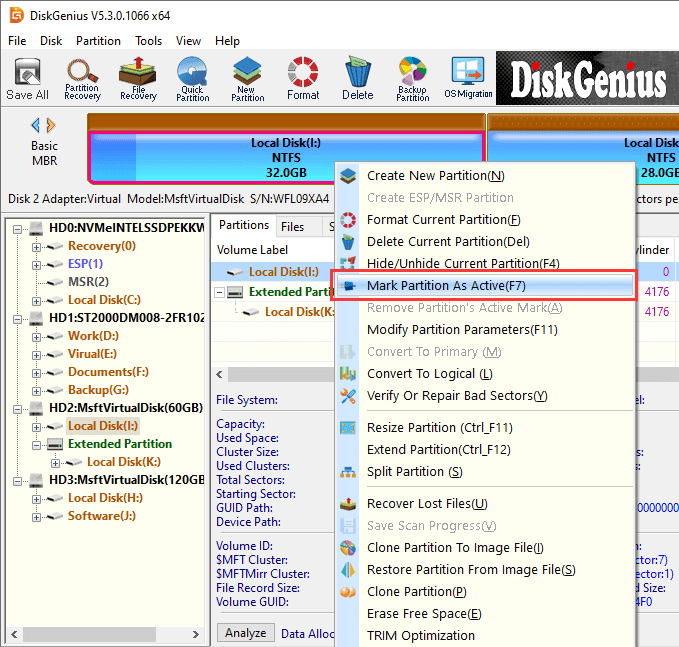 An active partition is a primary partition on a hard drive set as the bootable partition that contains operating system. Only one partition on each hard drive can be set as an active partition. 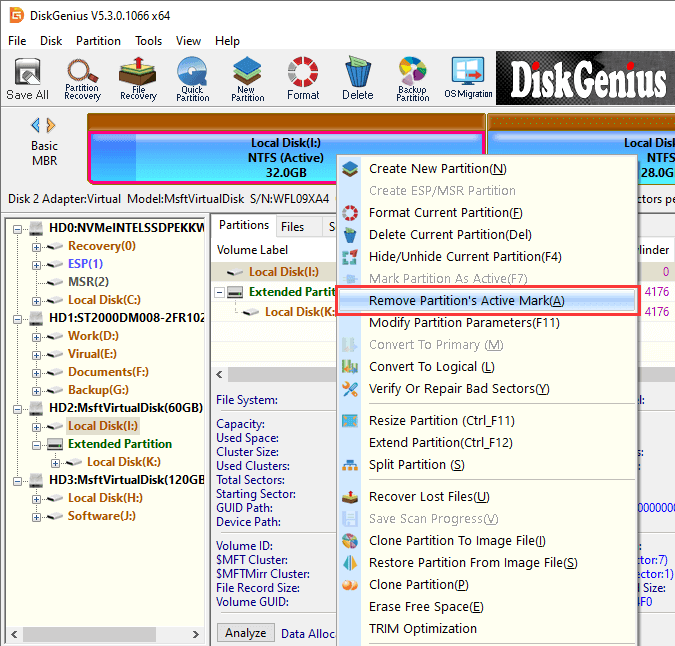 To active a partition, please right-click on the primary partition and select "Mark Partition As Active" from context menu.